In recent years, various online tools and databases have been developed to assess the potential energy output of photovoltaic (PV) installations in different geographical areas. However, these tools generally provide a spatial resolution of a few kilometers and, for a systematic analysis at large scale, they require continuous querying of their online databases. 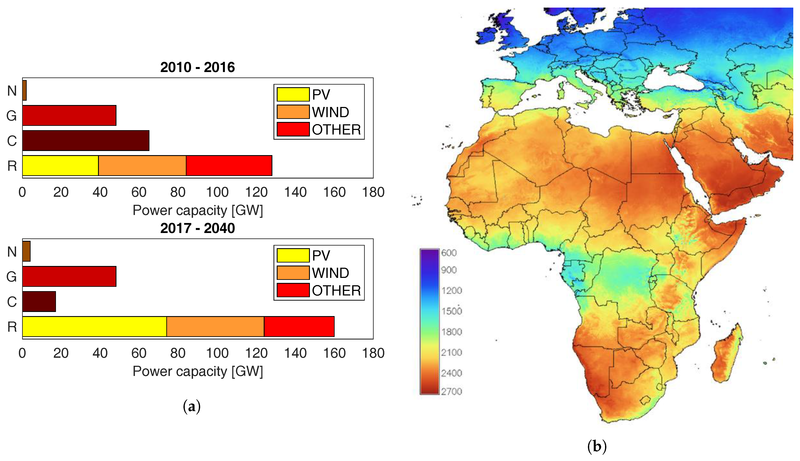 In this article, we present a methodology for fast estimation of the yearly sum of global solar irradiation and PV energy yield over large-scale territories. The proposed method relies on a multiple-regression model including only well-known geodata, such as latitude, altitude above sea level and average ambient temperature. Therefore, it is particularly suitable for a fast, preliminary, offline estimation of solar PV output and to analyze possible investments in new installations. Application of the method to a random set of 80 geographical locations throughout Europe and Africa yields a mean absolute percent error of 4.4% for the estimate of solar irradiation (13.6% maximum percent error) and of 4.3% for the prediction of photovoltaic electricity production (14.8% maximum percent error for free-standing installations; 15.4% for building-integrated ones), which are consistent with the general accuracy provided by the reference tools for this application. Besides photovoltaic potentials, the proposed method could also find application in a wider range of installation assessments, such as in solar thermal energy or desalination plants.